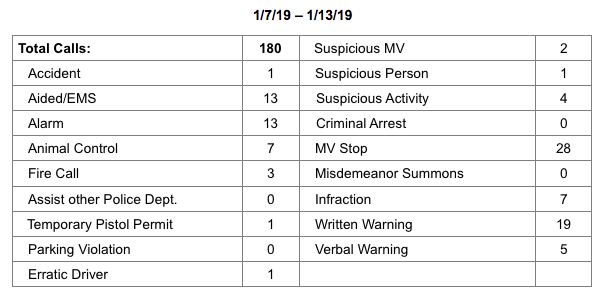 On the morning of Wednesday, January 9, 2019 the EPD received two reports from residents claiming their vehicles had been entered overnight. In both instances, residents admitted vehicles were left unlocked. The incidents occurred on Sunset Road and Hall Road.